Listings are in stud Alphabetical order. 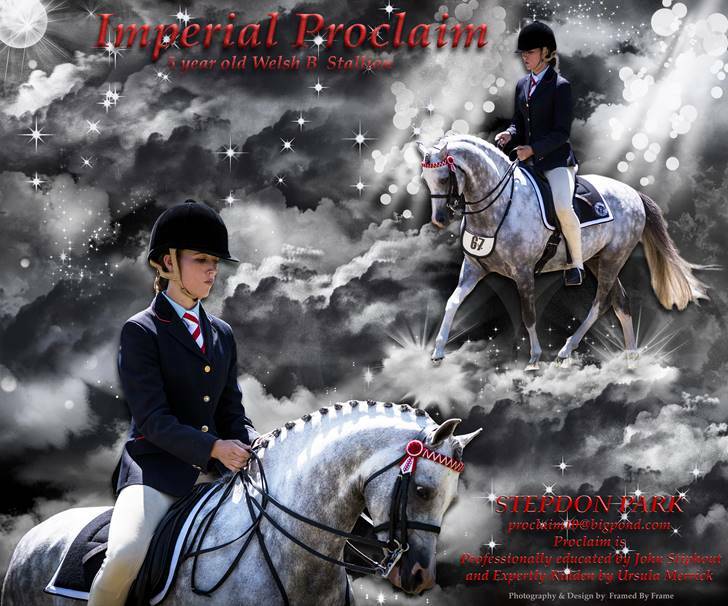 Achievements: His stella led show career says it all, a Multi Royal Show Champion across three states and with just one short show season under saddle he already holds his own in open company at Royal Level. 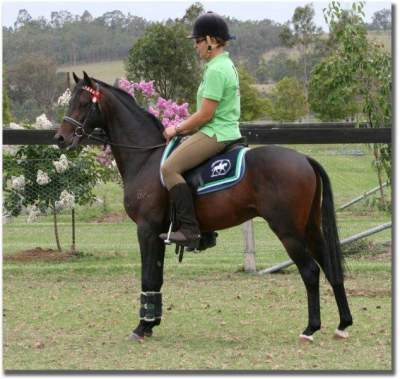 His first born progeny are just starting under saddle and are back from the breakers ready for a child rider. 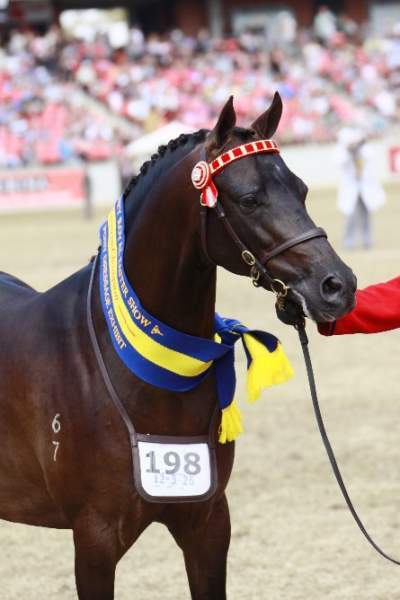 This in mind, he is sure to become one of the most successful child pony sires of all time. Achievements: Only lightly shown to date Hamish is already a multi Supreme Champion in hand. 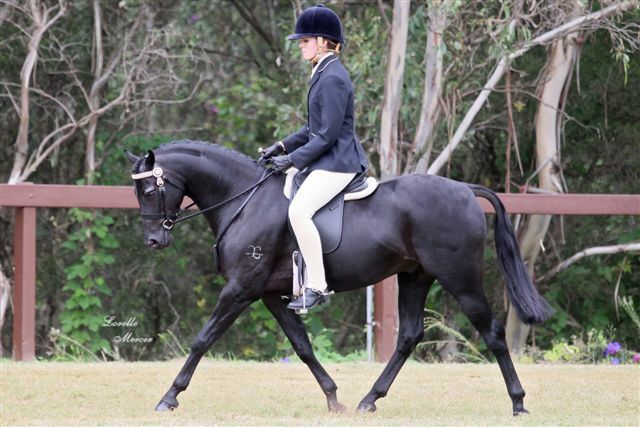 An exceptionally well bred young stallion with correct conformation and extreme ground covering movement he has recently started his saddle education and is showing exciting promise as a future saddle star. We couldn't be happier with his first crop of foals (2010) who look full of promise as both inhand and saddle prospects. photos courtesy of D Moss Photographgy. Registered: ASPA, RPSB, Arabian RP, Part Welsh. Achievements: Multi champion sash winner led and about to embark on a saddle career. 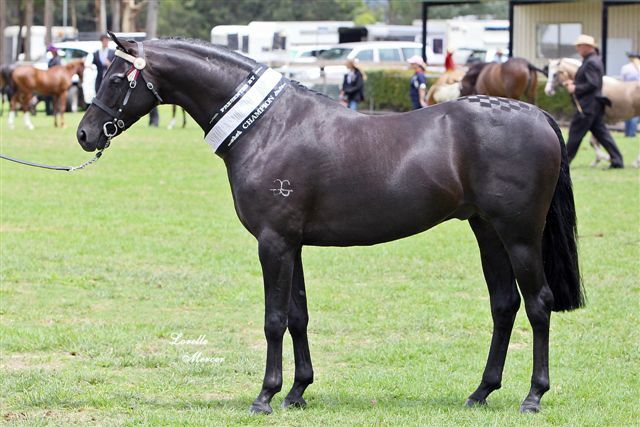 2011-champion ASPA stallion-Sydney Royal 2011, reserve champion part welsh Canberra royal 2011, winners Adelaide Royal x 2, champion at VAW only to mention a few. Achievements: Thalaba Oliver is a multi champion in hand across all his breed registrations. He will come out in 2012 as a Newcomer. 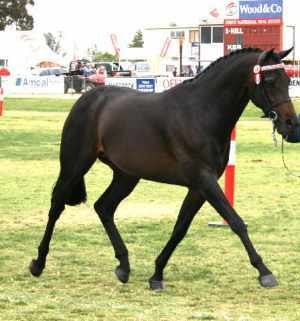 Thalaba Oliver will have his first foals on the ground in 2012. With his exquisite head, well set front and his laid back temperament he will make a great sire for future childrens saddle ponies. Achievements: (50 words or less) Stunning stallion, quiet sensible temperament, lovely to handle and ride done stock work, trail rides. Produced two stunning quiet colts. 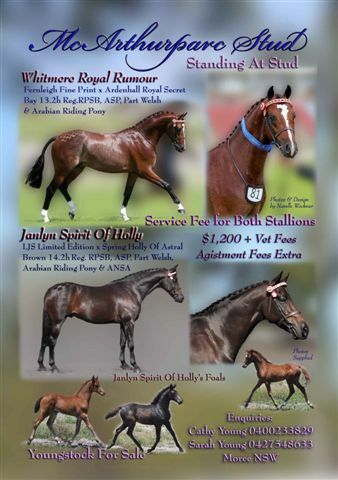 Well bred and fantastic sire of performance, harness or pony dressage. 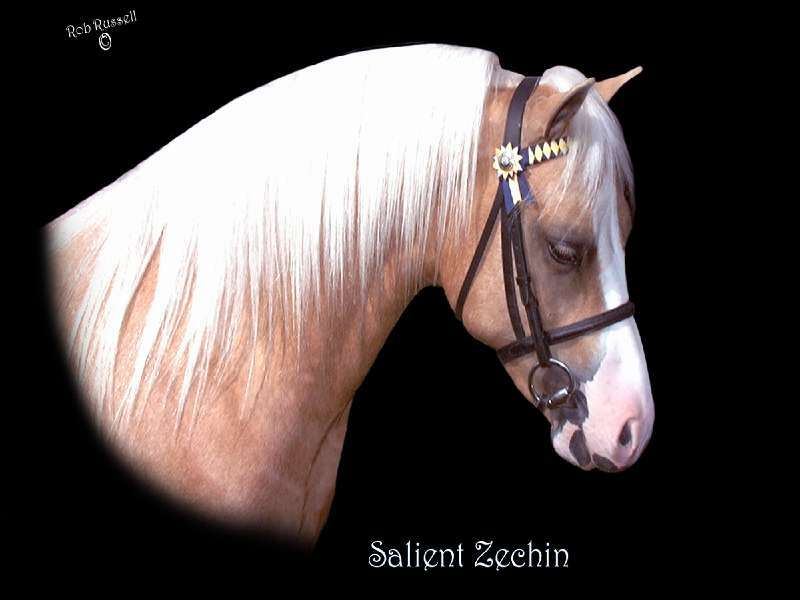 Only Buckskin Welsh C stallion registered in NSW and only one in Australia with registered progeny. Progeny also for sale. 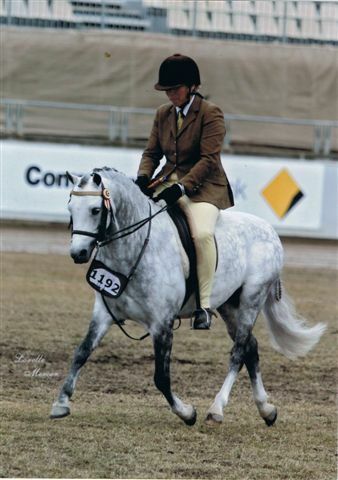 Achievements: Spirit has had limited showing in Western Queensland winning both led and under saddle championships. 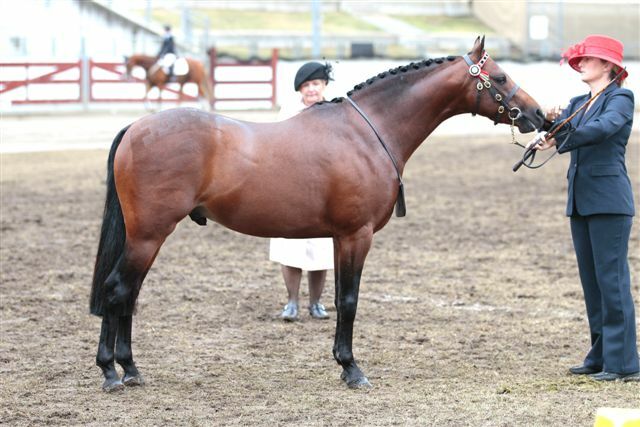 He was Supreme stallion at Wandoan Show and has competed successfully in Hunter and Working Hunter classes. He is used all the time for mustering on our property, showing great cowsense and toughness. Stud and Handling: $250 service, agistment negotiable. 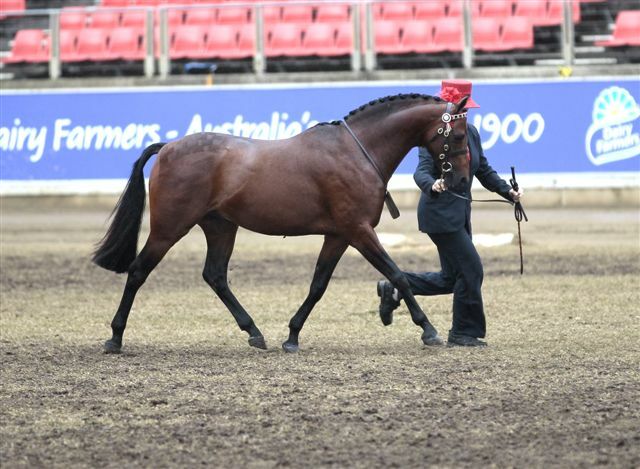 Achievements: Multi Supreme of Supreme winner, 2 x Supreme Pinto Perth Royal Show, about to commence saddle career. Progeny winning at Royal & State Level. Achievements: Multi champion and supreme winner. 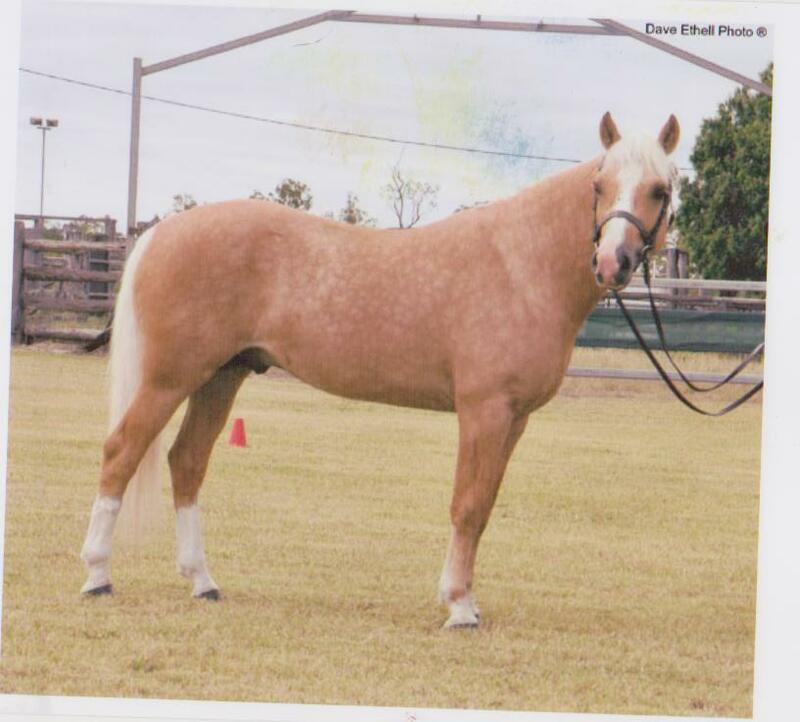 Beautiful golden coloured palomino. Progeny winning at elite level. 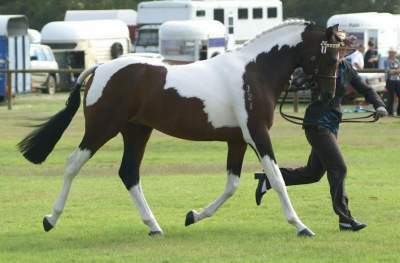 Great temperament and breeds the most beutiful childrens ponies. 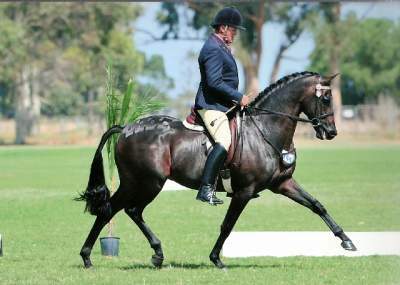 Achievements: (50 -100 words): 3 x Royal Champion, many Champions under saddle and in harness. 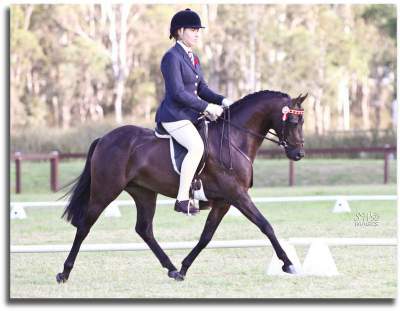 QLD"S leading section B sire's rating for 3 consecutive years (and again in 2010) He is the sire of many Royal Champions, All welsh Champions and HOTY Champions. 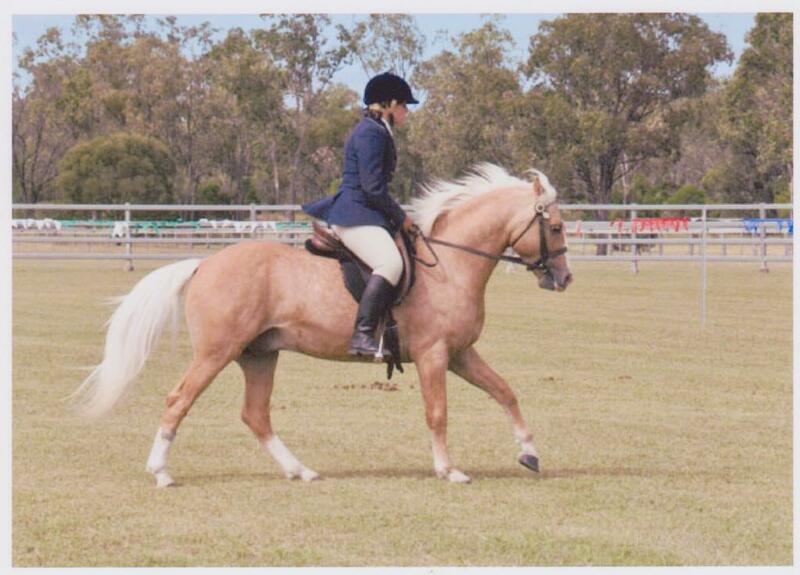 We purchased "Jupiter" from Antrim pony stud in QLD early in 2008. Stud and Handling Fee: NO LONGER STANDING AT PUBLIC STUD. 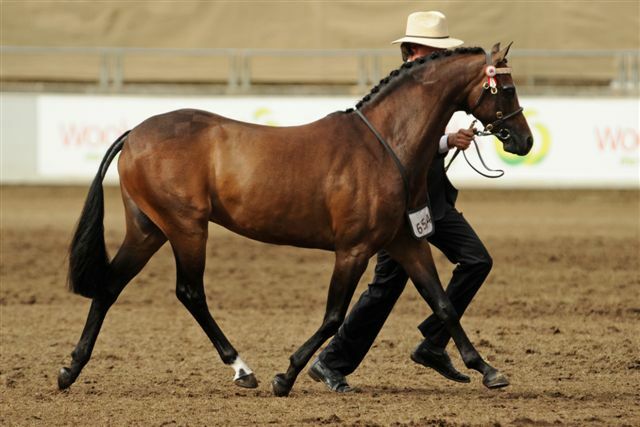 Registered: welsh b, saddle pony, apsb. 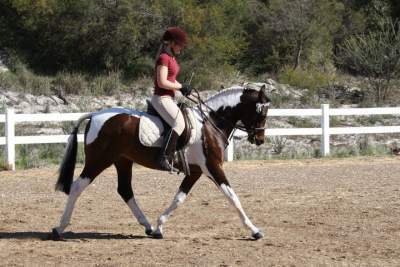 Achievements: (50 -100 words): He is a Multi champion in hand and under saddle. With a super quiet temperament that he passes onto his foals. He also puts a lovely head and neck on his progeny. The eldest is 3 years and are already multi champions in hand and under saddle. 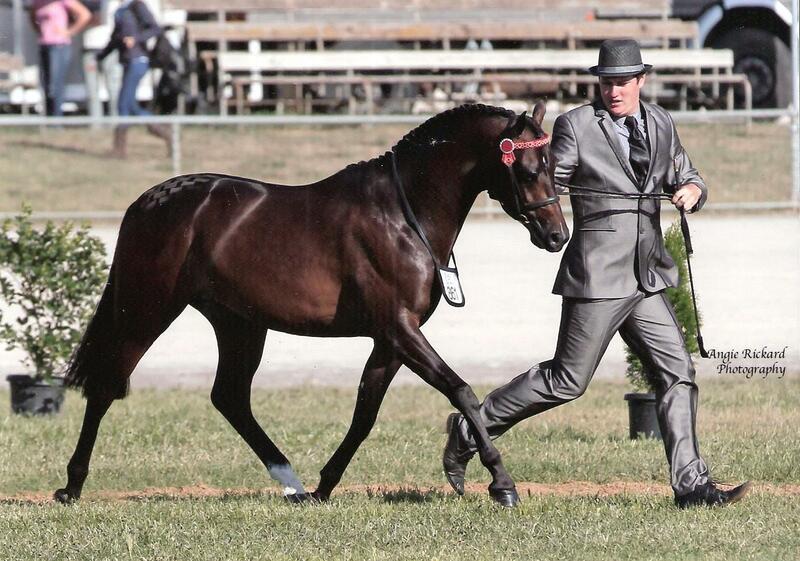 His 2011 Sydney Royal winning Welsh B Filly "Rae Park Look At Me" already making her mark on the pony scene. Achievements: Multi Supreme champion led and multi champion ridden champion at Royal Shows (Adelaide, Sydney and Melbourne). Progeny are now winning at Adelaide, Melbourne and Canberra Royals. An exquisite moving animal with a great temperament. Achievements: Supreme champion and multiple champion led at Royal level (Melbourne and Canberra Royals).